Many thanks to our collaborator Melissa von Frankenberg in Jamaica for providing her expertise on storytelling. The introverted tech entrepreneur standing against the wall is eyeing a bigwig telecommunications executive from across the room. He’s been trying to get his attention for months, and this may be his only chance to make an impression. With sweaty palms and an uncertain swagger, Dwayne Samuels begins to mix and mingle. He may not be feeling totally at ease in the crowded room, but he’s confident about the business networking app he and his partner have created and he’s convinced it will improve lives and businesses. Dwayne had told people about this technology before and once participated in a pitch competition, but it was always tech-speak and data talk. Now, he was learning how to do things differently. He understood that to grab someone’s attention, he would have to tell a story – a story that would make people, even non-technical ones, want to hear more. That was three years ago. Since then, he’s been living between Silicon Valley and Jamaica – perfecting his business and telling his story. Most recently, Dwayne pitched his company at the Jamaican Tech Startup Competition where Seedstars World collaborated with local partners to select the most innovative startup in Jamaica. His customer experience management platform, Samelogic, won first place. Nowadays, entrepreneurs need to present a strong business case with solid data and statistics, but also know how to tell a good story. At Stanford Universty, they found that statistics combined with stories have a retention rate of 65–70%. Dwayne’s pitch is a great example of combining due diligence and storytelling. He shares important data and tech information, while still remaining human. Dwayne and other entrepreneurs in Jamaica are tuning in to the importance of storytelling as a tool in growing their businesses. In the Caribbean, an entrepreneur’s track record, or proof of ability, is a key aspect of their value proposition.They stand a greater chance of attracting capital when they can strike an emotional chord and demonstrate their credibility. By nailing the art of storytelling, they can convince influencers and investors to come on board, and in the end, raise more money for their businesses. Storytelling is also playing an important role in developing the entrepreneurial eco-system in Jamaica. 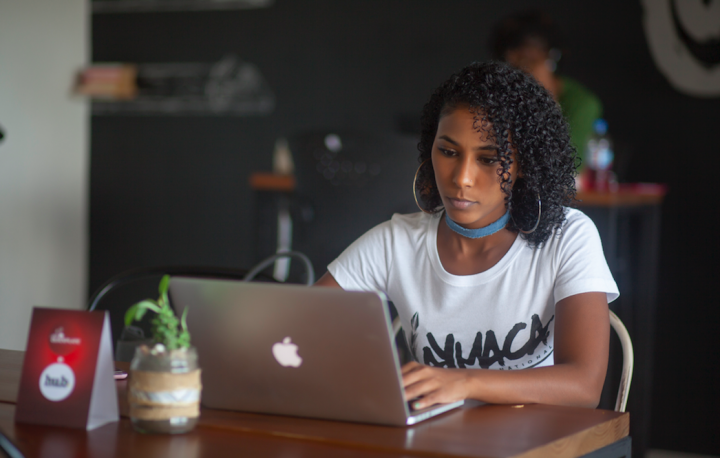 Accelerators, business development organizations and influencers are providing opportunities and funds to Jamaican entrepreneurs who know how to sway an audience, and more and more they are using real stories of entrepreneurs to convey ideas and successes. The Development Bank of Jamaica (DBJ) supports events and panel discussions where start-ups and business enablers have a voice. They also provide funding and capacity building opportunities to entrepreneurs and business support institutions, and then use video and social media to highlight their success stories. Influencers — people who leverage their network, digital identity or expertise to propel businesses forward — are key to bolstering the startup scene. Individuals with solid reputations, like Zachary Harding, CEO of Hyperion Equity Inc., and Sandra Glasgow, Founder and Managing Director of BizTactics Ltd., are making introductions and endorsing entrepreneurs with strong business models who can captivate others. Places like The Hub Coworking are nurturing entrepreneurial communities and events like Ingrid Riley’s, Kingston Beta, are giving them a platform to shine. It’s not only about entrepreneurs promoting their businesses. When they share their stories, they’re carving out a place for themselves in a competitive market. They’re connecting with audiences, building trust and spurring action. 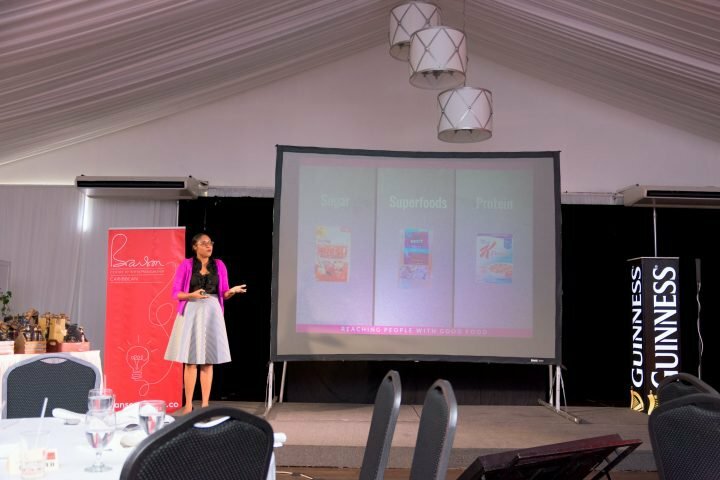 Their insights and lessons learned to go a long way in strengthening the entrepreneurial community because they inspire and encourage other entrepreneurs and potential entrepreneurs in their own journeys. Melissa von Frankenberg is a brand guardian and strategic communications architect. She is the founder of MasterWork, a boutique communications firm with a focus on brand building, storytelling, content development and communications management. 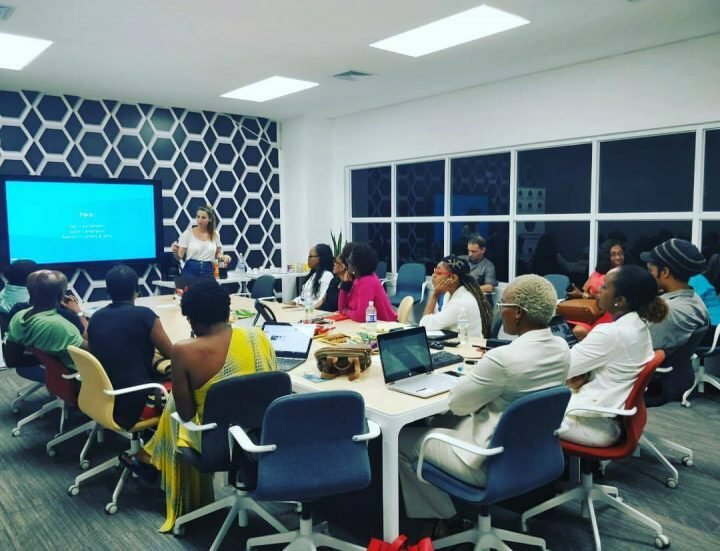 Prior to launching MasterWork, Melissa spent almost five years at one of the Caribbean’s leading business accelerators where she drove communications activities for the organization and coached entrepreneurs in marketing and storytelling strategy. She has over 15 years experience in business and economic development and has been a writer and storyteller all her life.